Local SEO | Is your website being found in the local search results? Is your website being found in the local search results? It should be. 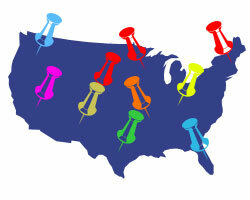 Many online searchers today will search for keywords along with the city they live in to find local results. This can be a huge benefit to your business. Many people, us included, would prefer to do business locally. It is very convenient to be able to drop by and get to know the people you are working with. Having your website properly optimized can help Google locate your address and phone number and be found locally. There is also an option to add your business listing with Google and they will place it in their results as well. The search results and SEO is similar to the real state motto “Location, location, location!” There are few people who go past the third search result page when they are searching for certain information. Listing on the top, or close to the top of the first page is the ideal location for customers to click and find the information they are looking for. The faster the customer gets in contact with you by being at the top of the search engines, the faster you can let them know what you have to offer. Along with the optimizing for the search engines, it is also very important to have the website optimized for usability. Make sure there are no broken links, broken images, and spelling or grammar errors. Make sure the navigation is clear to the user and that the text and font are easy to read. Make sure you have calls to action, contact information on every page (preferably at the top of the page) and that the graphics are crisp and clear. All of these factors play a role in increasing the conversions on your website and turning visitors into customers. Keeping the information on your website relevant to the topic of the page is important also. If you specialize in selling dog houses, place relevant information about dog houses on the first page. This will answer any questions that the visitor has about your dog houses and entice them to contact you and ask some questions, or finalize the sale. I’d be careful about also placing information about real estate houses on the same page, the user is on your website and found your website looking for dog houses. Give them the information they are looking for. Keeping the content information “tight” around a particular subject or topic increases the power of your website to show closer to the top of the search engines for particular related phrases. 1) Get your web site built by a professional organization. 2) Invest in search engine optimization for your site. Search Engine Optimization, or SEO as they call it in the business, can have a huge effect on the profitability of your web site. SEO helps a web site to be found easier in the search engines like Google, Yahoo and MSN. With approximately 92% of people online using search engines to find information online, it is obvious why companies would like to rank higher up in the search engines. SEO deals with keywords, descriptions, densities, articles and other bits of information that are picked up by professional web design companies. 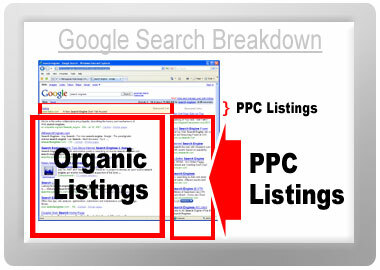 Don’t be fooled by internet marketers that promise “Number 1 Spots on Google,” this is not the sign of a professional. Prorofessional web design companies that know Google won’t promise a “Number 1 Spot” and they also won’t run away with your money once you paid. We have seen clients who went with these internet marketers because of what they “offered” and have came back to us feeling taken advantage of and left with an empty wallet. Once again, having your web site built by a professional organization does have its benefits! 3) Make your site useful and easy to navigate and read for your visitors. Each of these are key ingredients for customers to find your web site useful. We highly recommend our clients to have all of the above. A web site also needs to be easy to navigate. Less clutter and making your site easy to navigate can make a difference sometimes overnight. Don’t be fooled by thinking you have to have a graphically-heavy web site in order to have customers order from you. In our experience, the more simple the better, both from a user standpoint and from a search engine standpoint. 4) Add your web site to your other forms of advertising. We are amazed at the number of businesses that do not have their web site listed on all their forms of advertising. It is one of the most valuable forms of advertising in business today. Period. The more information you have on your web site, the better. Customer make decisions while they are on a web site. Think about it, without a web site they are unable to make any decisions and you won’t get the sale. 5) Invest in internet marketing for the search engines. Companies such as Google, Yahoo, MSN and others offer services that allow a business to be placed in certain positions that will drive targeted customers to your site. Don’t be fooled by internet marketing services that promise 800 clicks a month. You want targeted traffic to your site. Targeted traffic offers the best conversion rate from visitor to customer. These are some of the easiest ways to make more money with your web site. Keep in mind that having a professional web design company build your web site will maximize your time and stretch your advertising dollars. They know all the little tricks and shortcuts that will help you use your web site as a tool to make more money the most effective way possible.